Celebrate Mother’s Day in the Great Outdoors! 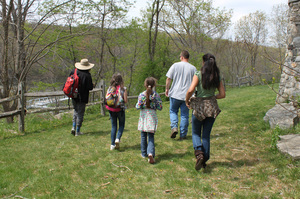 Join us for a nature walk and explore the Clearpool Model Forest and its ecosystems. This guided walk is moderate and will be punctuated by periods of observation and discussion. It is appropriate for ages 7 and older. It’s also perfect for those looking to get outside, experience something new and spend the day with family. Please be mindful that the walk takes place over moderate terrain. Bring enough water to last the full duration and wear outdoor-appropriate clothing and footwear. Registrants will be notified of any changes via email. A reminder email will be sent prior to the event. Advanced registration is required—spots fill fast!